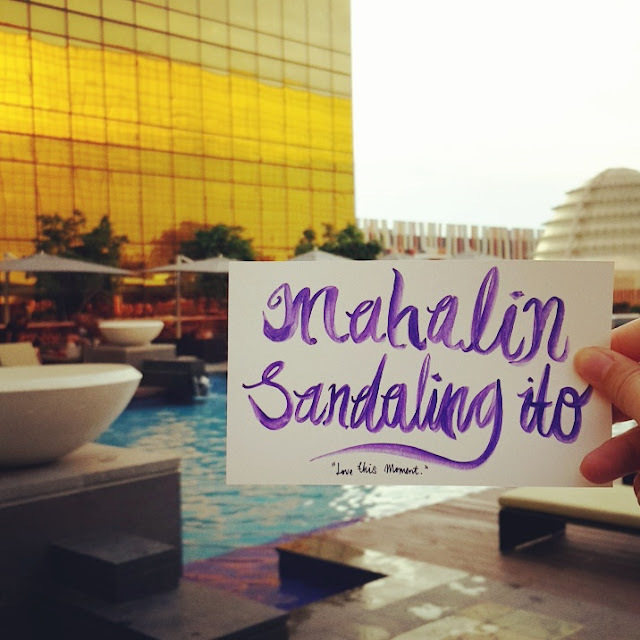 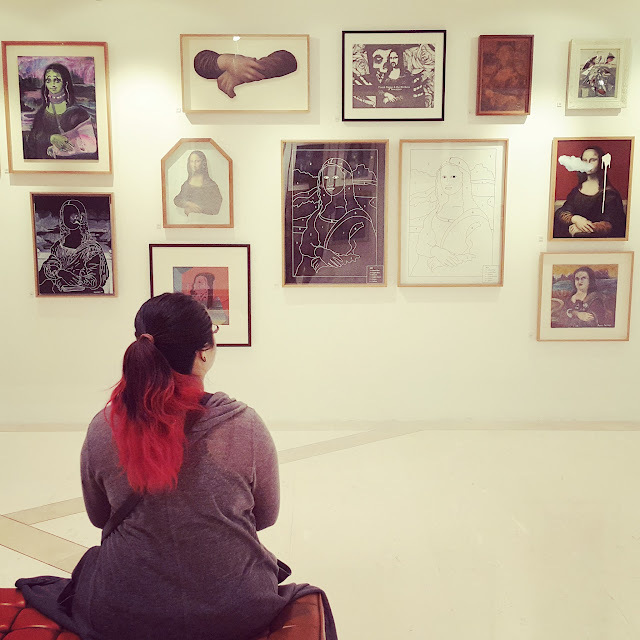 In part 1, I mentioned that art is a big thing in The Philippines. 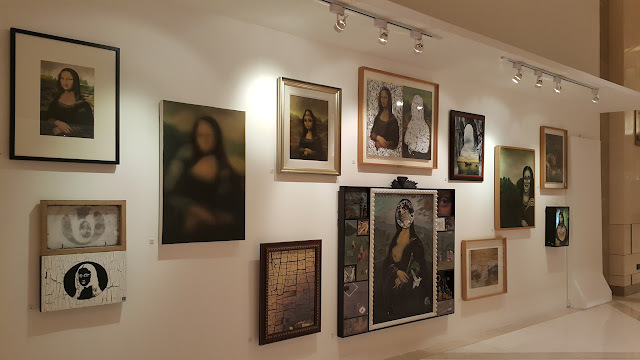 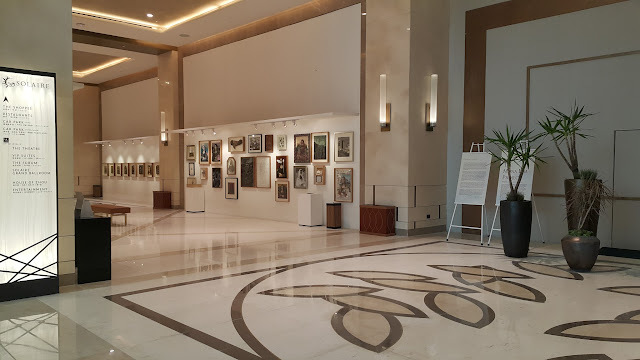 In the hotel that we stayed in, Solaire Resort was having an art exhibition called The Mona Lisa Project. 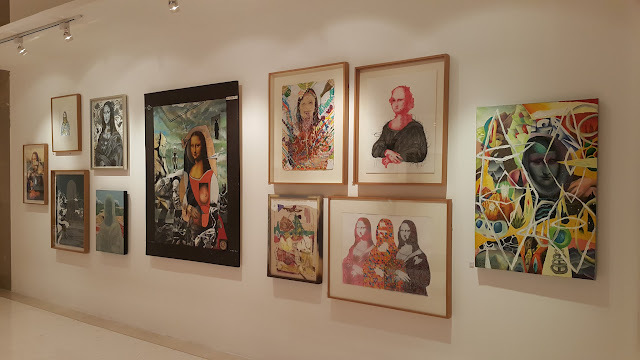 I thought to myself, hey, since I can't go to Europe yet, being able to see the different versions of Mona Lisa recreated by different Filipino artists was just good enough. 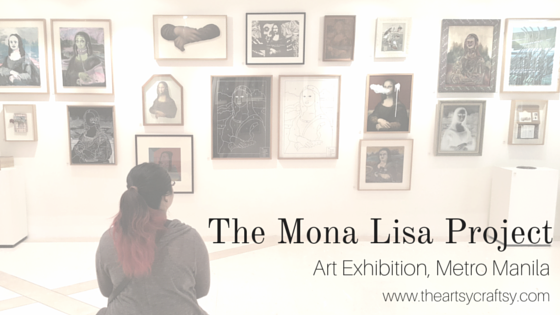 I am amazed by the representation Mona Lisa created by each artist, because each representations carries a profound meaning. 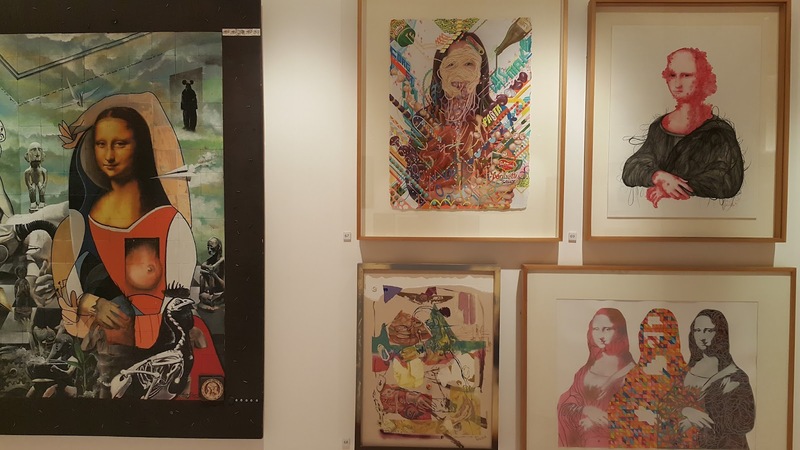 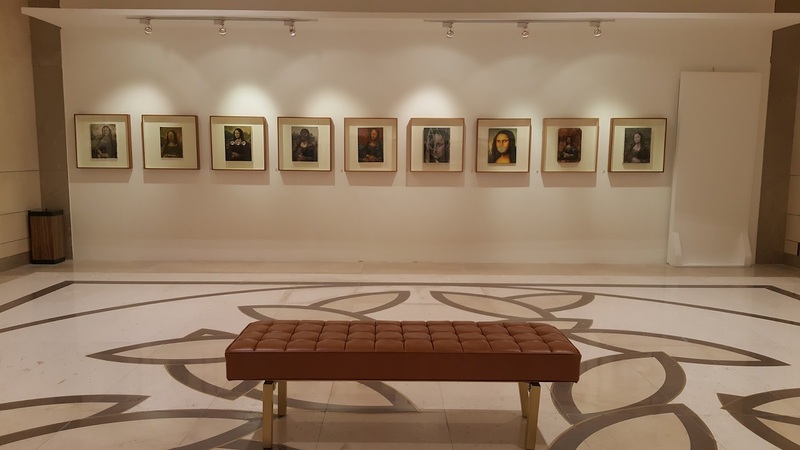 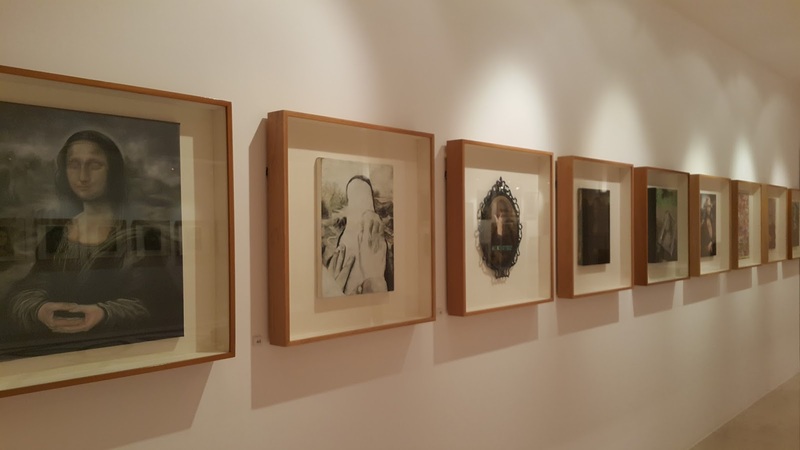 --- The exhibition featured more 30 over Filipino artists, each of them capturing the iconic portrait of the lady, by merging their own styles and interests, and creating a new perspective of their own portrayal. 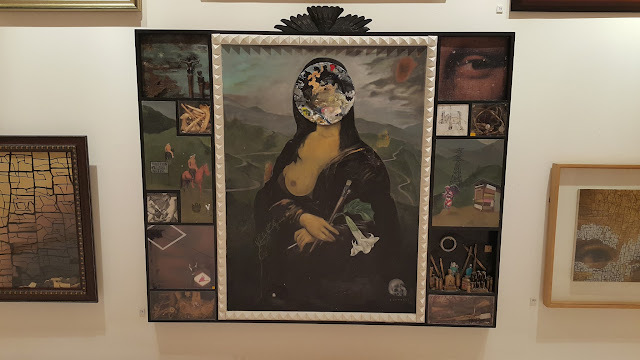 It is not at all a copied work, but an expressive interpretation of a female image.